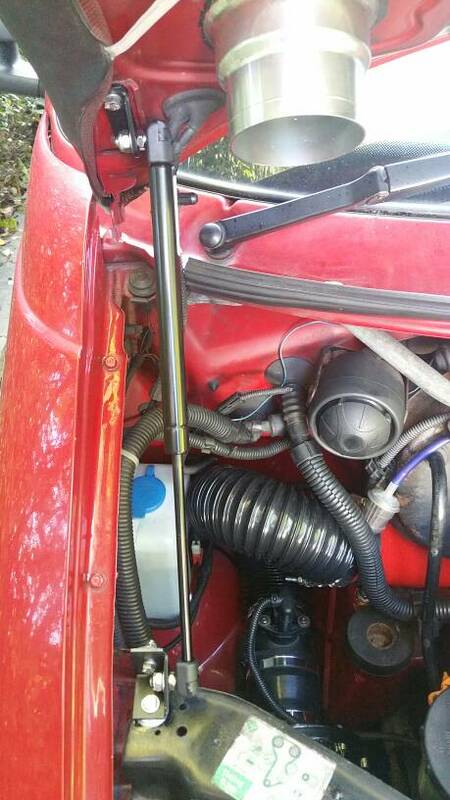 Have you tried turning the bracket on the slam panel 180 degrees and refitting , it would make the bonnet strut fit inline with the upper mount ? Yep, but leaves only one fixing into the headlight plate might foul the old stay fixing too. New bracket needed. Or could it fit on the other side perhaps? Hmmm. Have you lost your insulation tape? I'm about to find out something am I not! 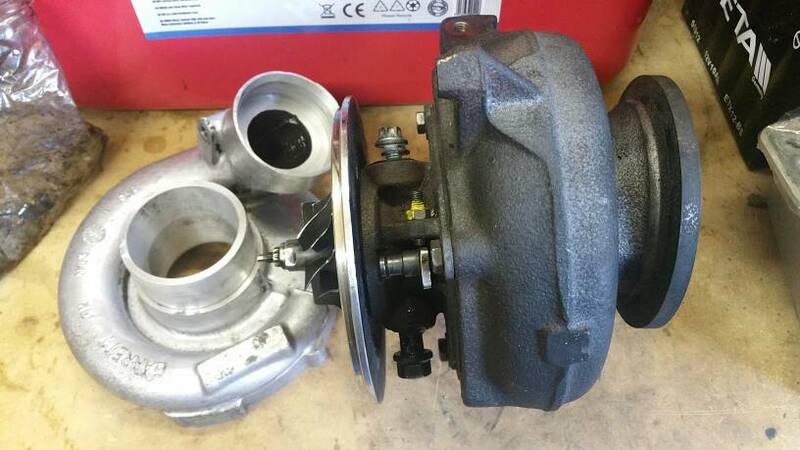 Delivery today of a used high pressure turbo to test, the GT23V with 0.42AR and 3" V-band exhaust housing. The turbo is really compact and will seat nicely on the existing adapted manifold. Last edited by Activ8; 20th November 2018 at 01:06 PM. My boost set-up is blowing hoses off at ATM+1.72bar (25psi) so I've bought a range of MIKALOR W2 Stainless Steel Clamps to upgrade and double up on some of the clamps I'm currently using. The plumbing needs to be tested and running to at least 2.42bar (35psi) to hit the big hp targets. I'm thinking about pulling the front end off completely, to then redesign it for a very large front mounted or multiple intercooler system. Last edited by Activ8; 20th November 2018 at 01:13 PM. I was holding 35 psi on the golf - plain tubing (no beads), single clamps. Only lost one pipe once on the shakedown run. Charge cooler?...you could keep the interwarmer location then. Is water cooling needed at 35psi? 70 yeh but think its overkill on a van! I think some of my current clamps are shite. Last edited by Activ8; 20th November 2018 at 02:51 PM. 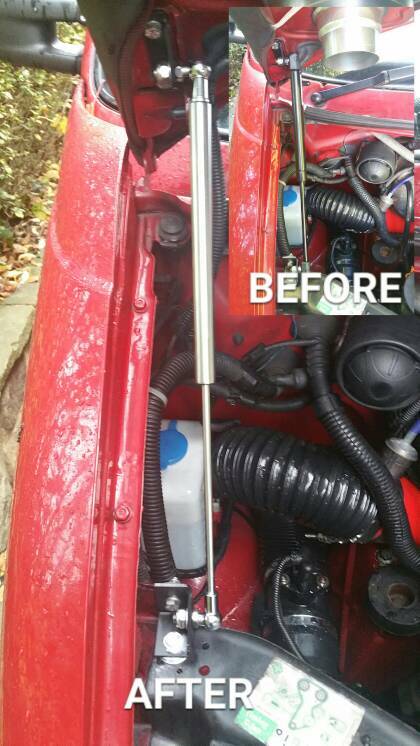 Changed the bonnet strut for a stainless steel JOM unit.